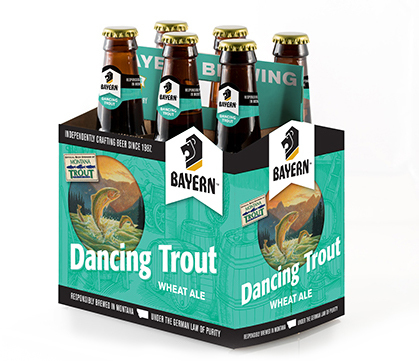 Dancing Trout Ale is a filtered Bavarian Hefeweizen also referred to as a Kristall Weizen. Brewed with Wheat and Pilsener malt, and Cascade hops. Crafted with a cause, Dancing Trout Ale is the flagship beer of Montana Trout Unlimited.